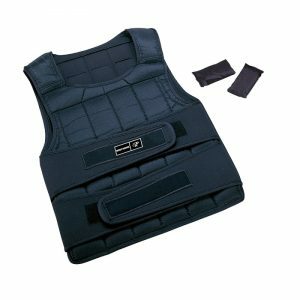 Weight Vests are a convenient and functional way to increase the load during a cardio-vascular and Body-weight exercise like running and Chin-ups. Additional weight means more calories burned because your body has to work harder to support the extra weight. In the same way, Weight Vests are the best way to load plyometrics and agility drills because they both increase your workload and force you to work harder. The Fitness Shop provides a wide variety of different kinds of Fitness equipment and accessories to help fit everyones individual’s needs and goals.